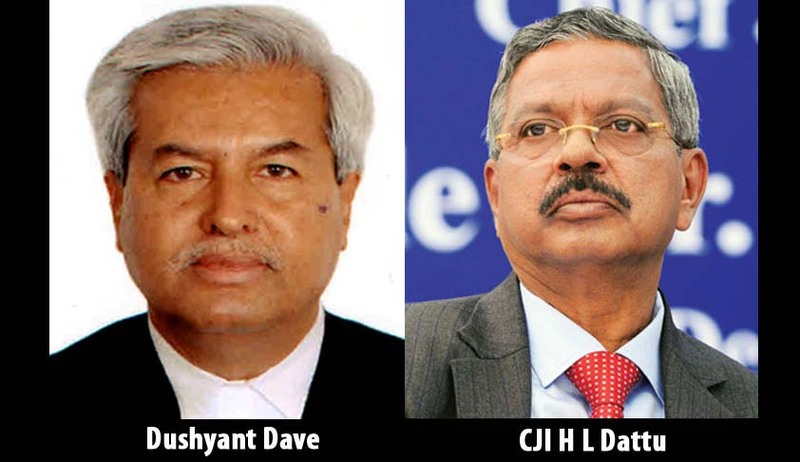 Supreme Court Bar Association President, Mr. Dushyant Dave has written to Chief Justice H.L. Dattu, requesting the Supreme Court to adopt the practice of fixing the roster for reasonably long period, preferably for eight weeks. This is in light of the inconvenience faced by the litigants, as well as Members of the Bar, especially, those coming from outside of Delhi, arising on account of short durations of the Roster for the Benches. “I take liberty to address this letter to you to bring to your kind attention the sentiments, feelings and the problems being faced by the litigants as well as the Members of the Bar, especially, those coming from outside of Delhi, arising on account of short durations of the Roster for Hon’ble Benches. As a result of frequent changes, the Final Hearing Matters, if heavy are not being taken up causing tremendous inconvenience and financial loss to the litigants or if taken up remain Part Heard for indefinite period or sometimes are simply adjourned after hearings investing lot of time. Sir, I have met a large number of Members of the Bar over last few weeks, making serious grievances on this issue and particularly, they are ventilating the feelings of their clients who have to bear avoidable but huge expenditure in addition to investment of time. Sir, the practice which is prevailing in the various High Courts to have Roster for fixed and reasonably long period, provides certainty as also convenience to all, the Bench, the Bar and the Litigants. Perhaps this could be considered by this Hon’ble Court as well. Sir, I would, therefore, request you to immediately look into this issue and decide, if thought fit, to fix the Roster for reasonably long period, preferably for eight weeks, so that frequent changes in constitution of the Benches is avoided on weekly and sometimes on daily basis, to prevent irreparable harm to the Institution and its image, in providing proper Administration of Justice.